I wasn’t quite sure where to go with this post, I’ve been struggling this past week, however today I have been taking it easy. I haven’t let myself do any work (you’d be surprised how hard that was!) I’ve been working incredibly hard this past week – academically, professionally and personally. I’ve overcome certain things that I thought and felt I wouldn’t be able to deal with for a long while. (I don’t like the word ‘deal’ here – I think ‘do’ or ‘accomplish’ is much better!) Moreover, I’ve started a lot of new journeys this past week – certainly when it comes to my health. I’ve stumbled across a lot of self-care related tips in the form of doodles, cartoons and so forth. Yet I never seem to find anything to do with recovery (maybe I’m not looking hard enough), so I created my own little doodle earlier today. (Along with doing me washing, drinking some tea and trying to learn how rugby works). 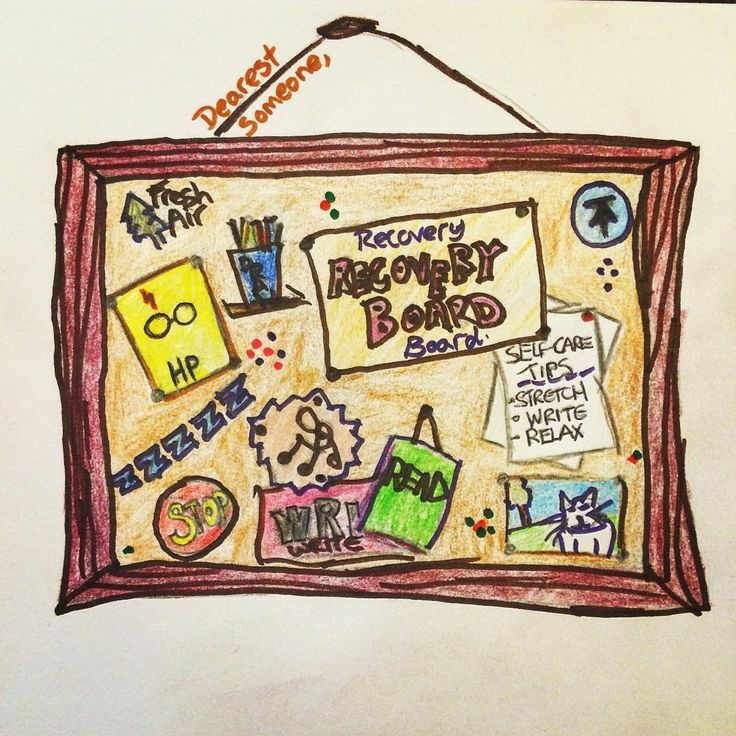 Here’s my ‘recovery board’, yep it’s kind of like a vision board, but it’s not. It’s a board that consists of things that I know comfort me, and things that I can turn to when I’m feeling a bit crap.